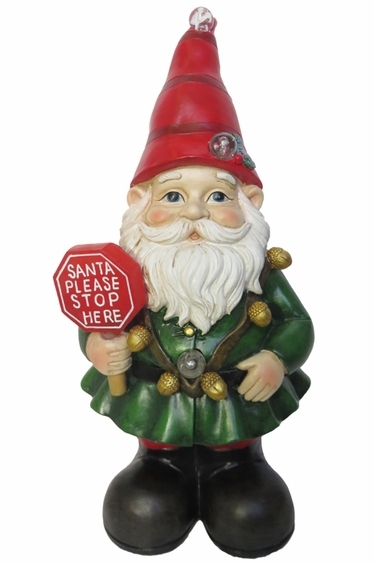 Home > Christmas Display Decor > Christmas Garden > Holiday Gnomes & Statues > Christmas Gnome w/LEDs: "Santa Please Stop Here"
Christmas Gnome w/Color Changing LEDs: "Santa Stop Here"
Embrace the merry holiday spirit with our exciting new Christmas Gnomes with Color Changing LED lights! Made of resin with a waterproof battery box. Good for use indoors or outdoors. Great for decorating your Christmas wonderland, collect all 3, you'll love them!